The Ibis Tianjin hotel is located on the main road to Teda, close to the SKY TRAIN railway station, the central railway station and the bus depot. 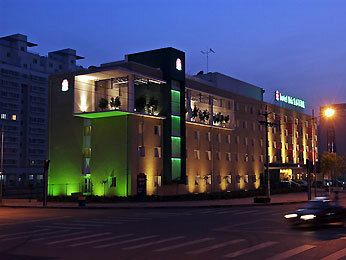 The immediate neighbourhood has numerous typical restaurants and the Conference Centre is close by. Thehotel offers 157 air-conditioned rooms for booking including 1 for disabled guests. It puts at your disposal a meeting room with Wifi connection for work sessions and, for your comfort, a restaurant, a bar open 24/24 and parking.